A panel discussion, “Searching for Alternative Chemistries of Life on Earth and Throughout the Universe,” is set for Friday, Feb. 13, at 3 p.m., during the annual meeting of the American Association for the Advancement of Science (AAAS) in San Jose. Lynn co-organized the panel with Jay Goodwin, an Emory research fellow and an AAAS Science and Technology Policy Fellow. 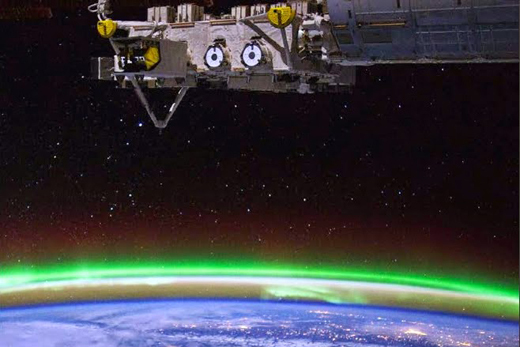 In 2012, Lynn, Goodwin and four other scholars led the “Workshop on Alternative Chemistries of Life: Empirical Approaches,” supported by the National Science Foundation and the National Aeronautics and Space Administration. They pulled together an international group of nearly 40 scientists working at the boundary of non-living and living systems for the Washington workshop. The group included microbiologists, marine biologists, biochemists, geochemists, synthetic chemists, atmospheric chemists and virologists. The resulting report, now available online, developed a set of research findings and next steps for exploring the concept of alternative chemistries. The AAAS panel session will discuss many of the main ideas outlined in the workshop report, and the key question: How do we unravel the complex interplay of planetary, chemical and biological evolutionary networks, and what might we gain from the confluence?